delightful love daze as the summer months roll on. 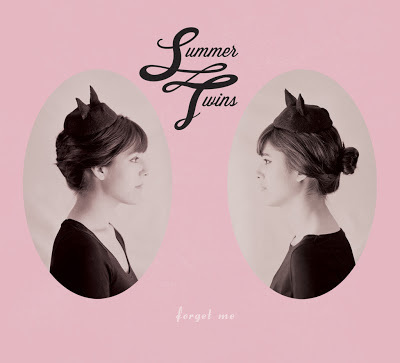 California sister duo Summer Twins are back with a new EP that is sure to leave you reminiscing on past loves both sweet and sad. The Forget Me EP is filled with 50s doo-wop and dreamy pop elements. The lyrics seem to highlight love in its many stages, with the Brown sisters singing about everything from those happy, easygoing days early on when love is brand new, to the end of a relationship and all the complicated feelings that come along with trying to let go once and for all. Title track, “Forget Me”, addresses the struggle of trying to move on from someone you have a connection with, though that person’s presence is nothing short of toxic in your life. “You say you want to love me, but there’s so much you don’t see / If you can’t care for yourself how will you care for me? / You see I’m trying to forget you so forget me." The lyrics are earnest and mirror that conflict of being caught up with the past yet attempting to move forward very well. The EP continues with a slowed-down, doo-wop number entitled “I’m No Good", a self-aware lament about finding yourself in a one-sided relationship where you feel the other person cares more than you do. It’s an awful place to be – how do you break it to them without breaking their heart? There’s just no way around it. Sunny melodies follow suit on “Darlin” and “Carefree”, leaving the listener caught in a sweet state of hope and nostalgia. Forget Me ends with a lovely rendition of “All I Have to Do is Dream” by the Everly Brothers that whisks the listener away into the clouds of a perfect dream world. Listen to Summer Twins on bandcamp.